Can’t you just taste summer? 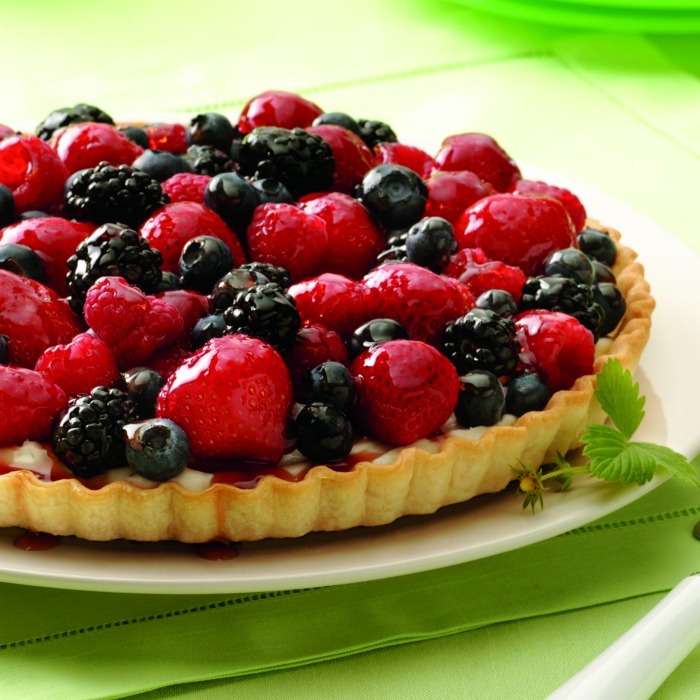 You will with this Mixed Berry Tart Recipe! Mind you, I didn’t grow up on any kind of mixed berry tart recipe. I actually remember the first time I ever had a fresh berry cream tart. I was working in downtown Chicago at the time in one of those huge multi-purpose buildings, which included condos, offices and shopping. (Of course, each had a separate entrance — this building took a whole city block!) And if you can believe it, it had a 7-floor Bloomingdales. Yes… it was heaven. Anyway, this building also had a true bakery in it. I’m not talking about some chain that offers baked goods. Oh no! Everything was baked by the family that owned this shop. The moment you walked in, you couldn’t help yourself but just to pause and inhale a huge breath to enjoy the scents. A co-worker ordered a tart (which was definitely new to me). And when she realized that I’d never had one, she offered me a bite. Yeah… I haven’t been the same since. 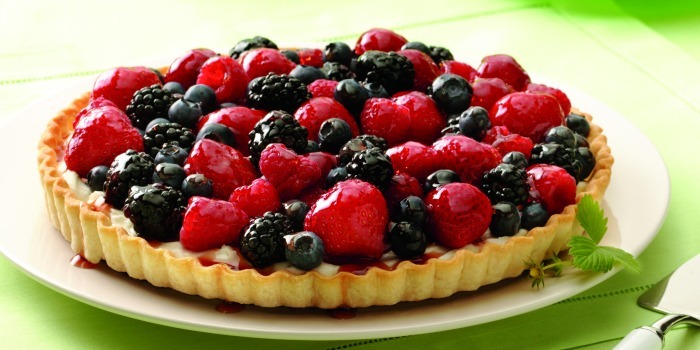 😉 And today I’m bringing you a wonderful mixed berry tart recipe courtesy of Pillsbury. This post contains affiliate links. Prepare pie crust as directed on package for one-crust baked shell using 9-inch tart pan with removable bottom. Bake for 9 to 11 minutes or until light golden brown. Cool completely. In small bowl, combine cream cheese, sugar and liqueur; beat until smooth and well blended. Spread cream cheese mixture evenly in cooled baked shell. 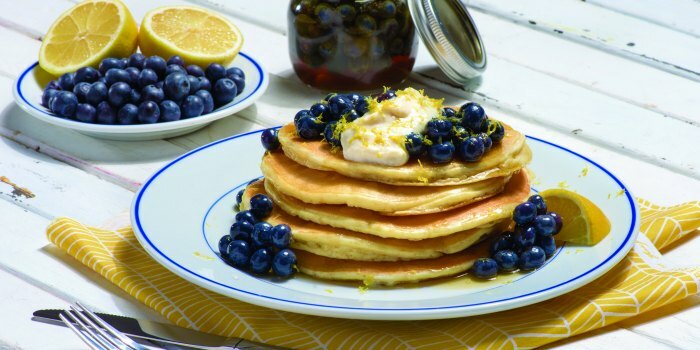 Top with berries; brush berries with melted jelly to glaze. Can't you just taste summer? 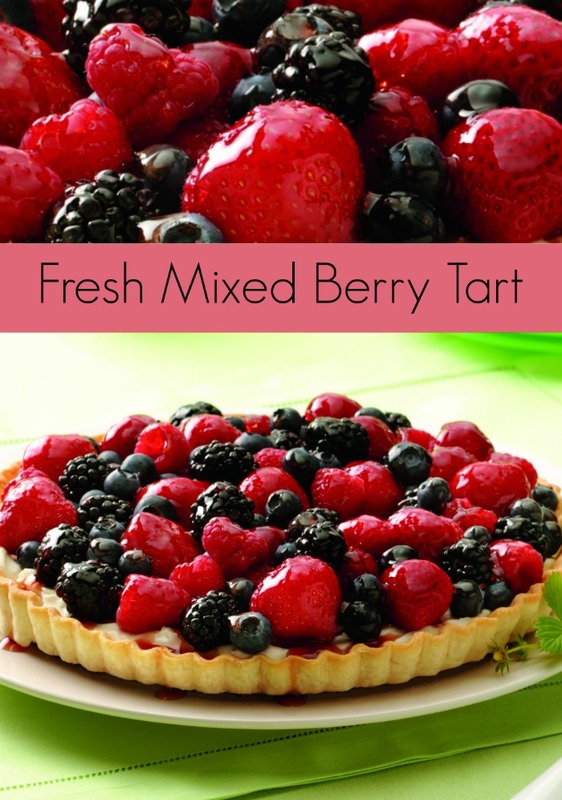 You will with this Mixed Berry Tart Recipe! Oh my goodness… this looks so yummy! Oooo Jennifer this looks amazing, have Pinned to my all berry dessert board today! Hi! Your tart looks AMAZING! Thanks for sharing your recipe at Craft Frenzy Friday on Mom Home Guide! I pinned this! Look delicious! I love berries! Thank you for linking up to last week’s Tasty Tuesday linky. I have pinned your recipe to the Tasty Tuesday Pinterest board. I hope you’ll join us again this week. Looks so tasty! Thanks for sharing at the Inspiration Spotlight party. Pinned & shared. The perfect summer treat! I love anything with raspberries in it. I’m sure my family will be happy for me to try this recipe out. Congrats on being featured on the #ThisIsHowWeRoll link party! I’m pinning this recipe now! Yes, your family can definitely thank me this weekend. Happy eating! I have never made a tart either but it does look good. Maybe I need to add it to my list of things I need to try to make. 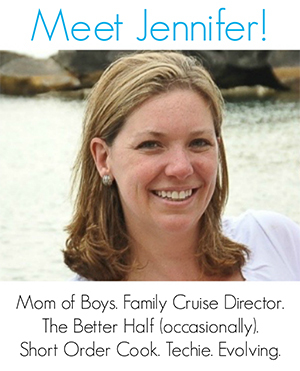 (Macaroons are on that) thanks for joining us at Family Joy Blog Linkup. Wow, this tart looks amazing and so yummy. I love berries! Thanks for sharing on the What’s for Dinner Link up! I don’t believe I’ve ever had a tart. Based on this post I’d say I need to make that happen. Looks delicious. Now that is a gorgeous dessert! My mouth is watering. Pinned and sharing. Thank you for joining us at Family Joy Blog Link-Up Party. I hope you will join our next party starting Sunday at noon EST. Jennifer, This looks so good and I can’t wait to try making it. Thank you so much for sharing this last week at Share Your Style!